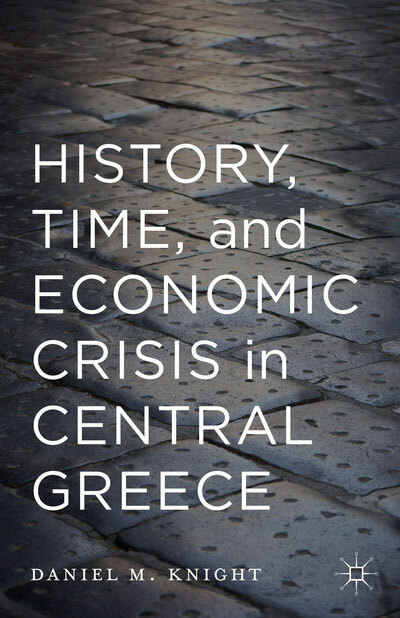 Dr Daniel Knight's recent monograph "History, Time, and Economic Crisis in Central Greece (Palgrave, 2015). Dr Daniel Knight (University of Durham) will introduce the topic: “History, Time and Economic Crisis in Central Greece”. An Upper House Seminar organized by the British School at Athens. Daniel Knight’s ongoing research in Thessaly, central Greece – written-up in his recent monograph “History, Time, and Economic Crisis in Central Greece (Palgrave, 2015) – concerns economic relations in diverse socio-historical contexts, adopting a historical approach to understanding the impact of the current economic crisis.